…if 75% of your liver were removed and 25% left, that 25% could regenerate a full size liver in 8 to 15 days? Your new liver would reorganize itself over the course of a few months but it would be functional as it regenerates. 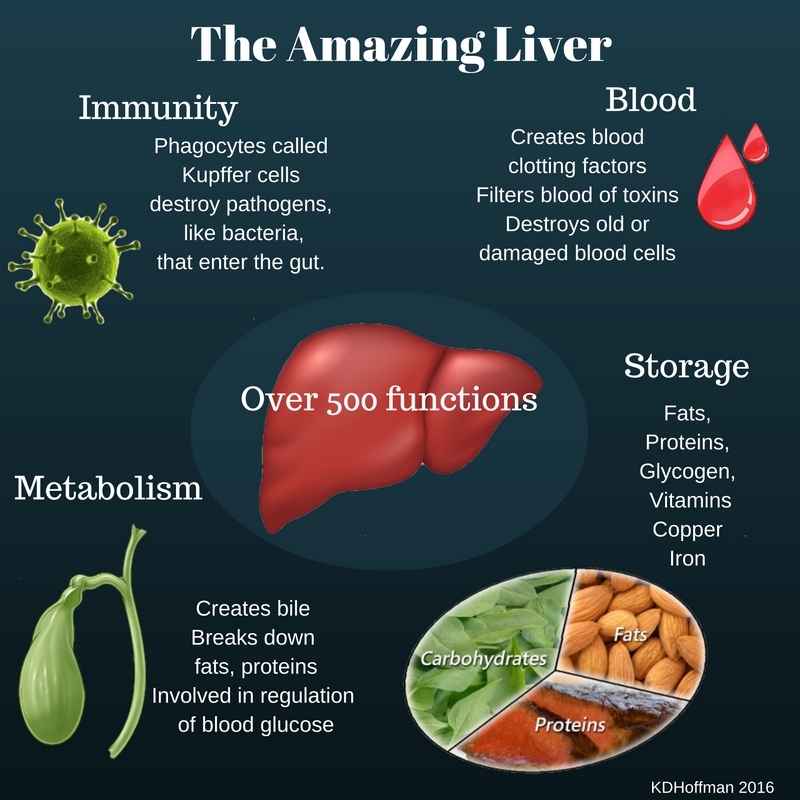 the liver has at least 500 distinct functions in the body. It is an organ that is also a gland, creating important chemicals for its many processes. See some of them below. 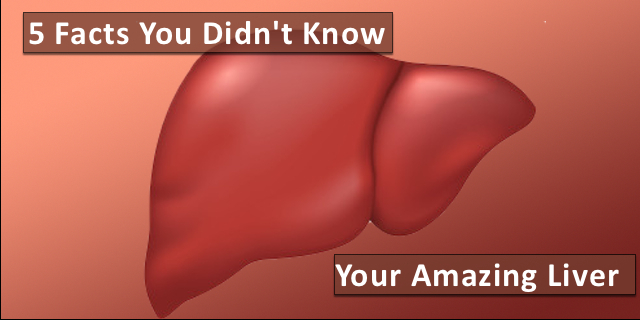 the liver is a blood filter, like the kidneys, removing toxins from the blood. It also breaks down old blood cells and produces the proteins for blood clotting. 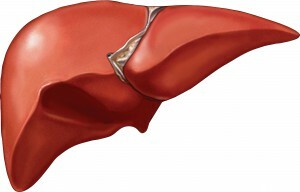 the liver stores vitamins and minerals. The liver stores vitamins A, E, and K which are fat soluble vitamins. Here are some of the uses for each of these vitamins. Vitamin A: Vitamin A keeps the eyes, skin and mucus membranes healthy. It is involved in bone formation and healing of wounds. Vitamin A is essential for cell differentiation, that is the process by which cells become specialized. This means that it is important during pregnancy for fetal development. Vitamin E: Vitamin E is antioxidant, a substance that helps prevent cell damage. 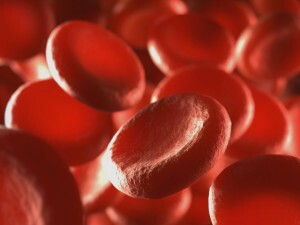 It is involved in healthy blood cell development. It also works with Vitamin K. Vitamin K: Vitamin K is involved in clotting and in bone health. the liver is essential for digestion of food. Some of these functions include creating bile which is essential for breaking down fats. Bile also helps to metabolize proteins. In addition, the liver also stores glucose in the form of glycogen and helps in maintaining the proper amount of glucose in the blood. Like all organs in the body, the liver can have problems. You may not have heard of this but there is a condition called non-alcoholic fatty liver disease (NAFLD). It’s a condition that affects as many as one-quarter of the US population. Normally, the liver stores some fat. However, in some cases the liver stores more than is healthy and that fat causes inflammation, which can lead to cirrhosis (where scar tissue replaces normal cells) of the liver. Causes of NAFLD include obesity or just being overweight, having high levels of triglycerides in your blood, being pre-diabetic or having Type 2 diabetes. If you have Type 2 diabetes or pre-diabetes, be sure to read this post on NAFLD in the Medivizor Library. According to the Dietary Guidelines for Americans,1 moderate alcohol consumption is defined as having up to 1 drink per day for women and up to 2 drinks per day for men. This definition is referring to the amount consumed on any single day and is not intended as an average over several days. However, the Dietary Guidelines do not recommend that individuals who do not drink alcohol start drinking for any reason. There are a lot of temptations during the holidays. Healthy eating, continuing to exercise and including foods containing Vitamins A, E and K, are all part of maintaining your liver. Staying on track, if you have risk factors like diabetes or high cholesterol, can help. There are multiple opportunities to indulge and moderation, though not the first thought that comes to mind, would sure be nice for the liver–even if it is the Rocky of organs.